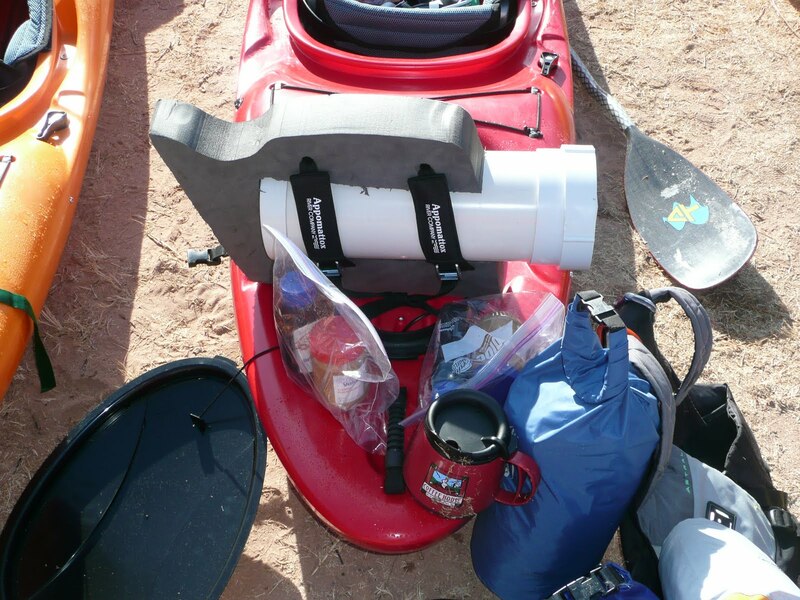 In the section of the NPS’s Noncommercial River Trip Regulations entitled “Human Waste Carry-Out Method” (Page 14) the NPS asserts: “It is easy to contain about 50 uses in a container measuring 2,000 cubic inches.” By our calculations this equates to 40 cubic inches per use. Wow! That’s one massive bowel movement. Our experience is that half that amount is adequate. But when you’re on the Grand you have to play by the NPS rules, so our calculations for the size of our groovers assume 40 cubic inches per use. So, for a 12 day trip on the Grand the NPS says you need 480 cubic inches of space for your PHWM system. We considered two different ways to provide 480 cubic inches for human waste: Pelican cases or PVC pipe, and our experience is that the PVC pipe is the superior method. There are several options for wall thickness in PVC, and for this purpose the thinner the better. 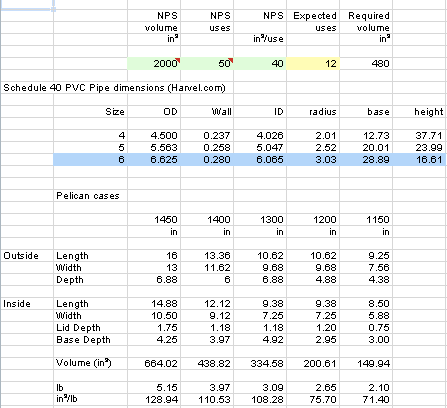 The attached calculations assume SCH 40 PVC, which is generally available at building supply stores. It’s the green PVC pipe at Lowes or Home Depot, but Woody found at a local supplier some thinner PVC used for sewer pipe. 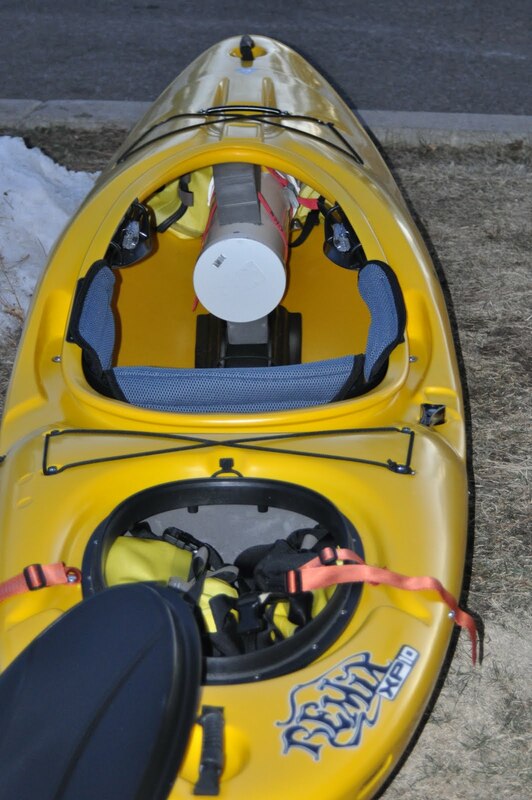 You’ll want to use 6″ PVC, which fits well in the front of the kayak, and the pipe needs to about 16″ to get you the required volume. A solid end cap is glued on one end of the pipe, and on the other is glued a female threaded end cap with a threaded plug. You’ll want to manufacture some sort of “groover wrench” to unscrew the threaded plug. The plug has a square nut on it, so we cut a piece of 1/4 inch plastic sheet as a handle with a matching square hole to serve as a wrench. Another important innovation in PHWM system is the foam plug. This is a circular piece of minicell about an inch thick that fits inside the groover and separates the HW from toilet paper, wipes, etc. Woody showing us how the ‘groover’ can double as a table or stool (no pun intended). Way to bring it back full circle. 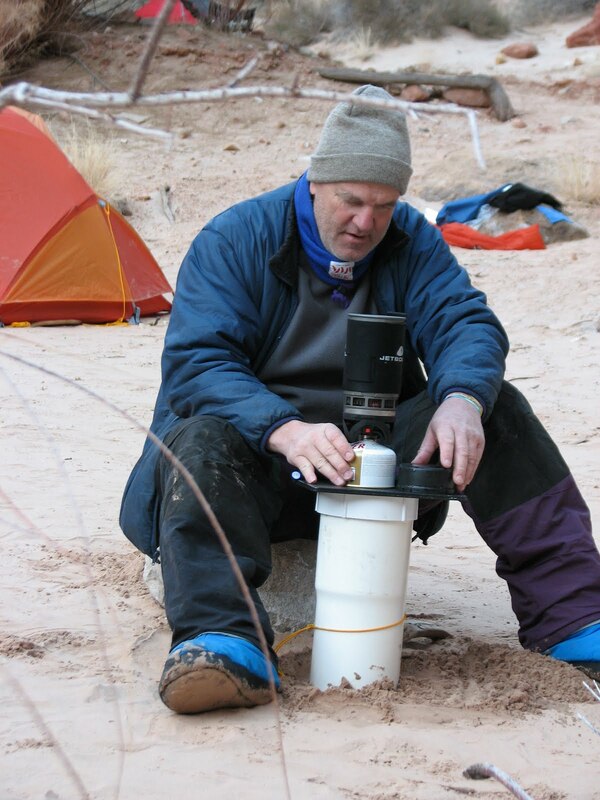 The groover is a necessary piece of equipment for any Grand Canyon Trip. 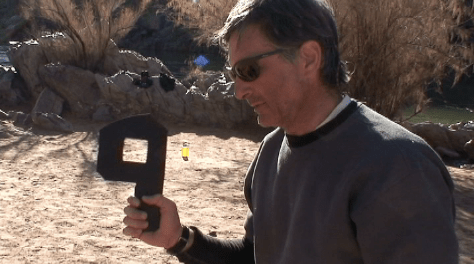 Here is a little video with Grand Canyon veteran Will Lyons explaining the beauty of…well watch the video and see for yourself.